I found this old thing in a drawer and finally took some photos of it. It's an automatic threading whatchacallit for a bigger lathe than I currently own. 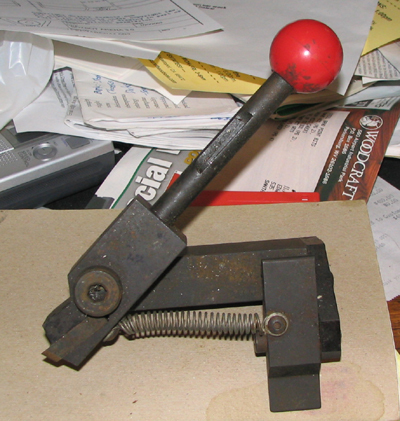 Now, as I remember it, this thing was maybe called a "Snap Tap", but googling on that phrase pops up a slew of things having nothing in common with this thing, so I probably remembered it wrong. Da plan, one of these days, is to clone a smaller scale version of it, suitable for service on my Myford Super 7B, then I'll flog the original on ebay. Photo #1: Here's a side view of the unit, with the threadcutting tool locked in the cutting position. 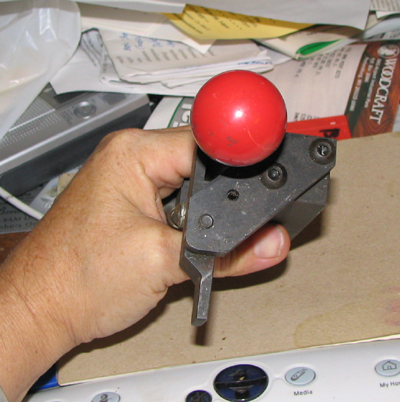 From tip of tool to end of red ball handle it's 8in. long and it weighs maybe 5lbs. 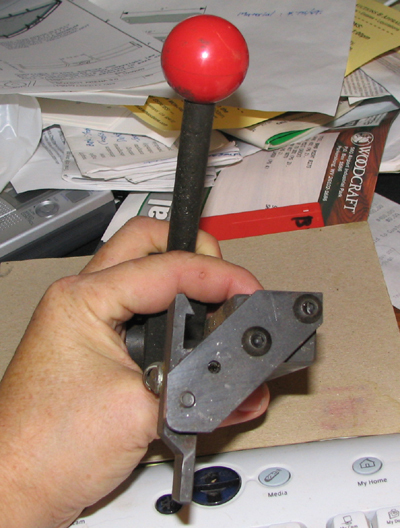 Photo #2: And here it is, sprung into a position that will clear a shoulder on the workpiece. Note milled recess in the middle of the round handle. This is where the latch fastens during threading. 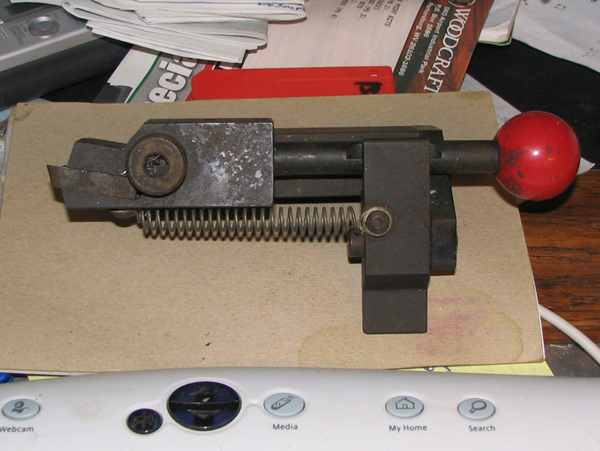 Photo #4: End view of the latching mechanism with tool sprung to the clearance position. The part that would be fastened in a toolholder is held between my thumb and forefinger; it's a whopping 1in. thick!